Are you ready for battle? 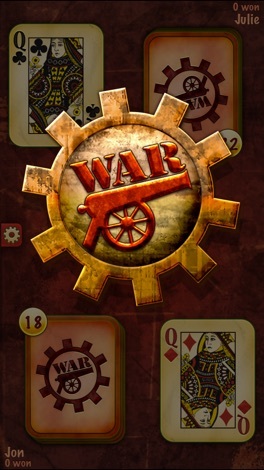 War Premium brings the classic card game War to your iPhone or iPod Touch. 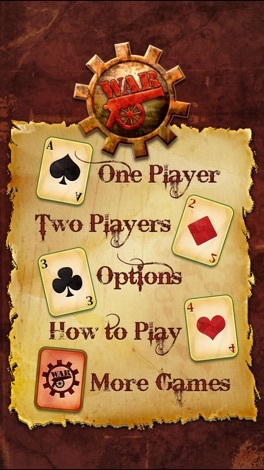 Each player starts with a deck of 26 cards. The game takes place through a series of battles in which each player reveals one card. The player with the highest card wins both cards. 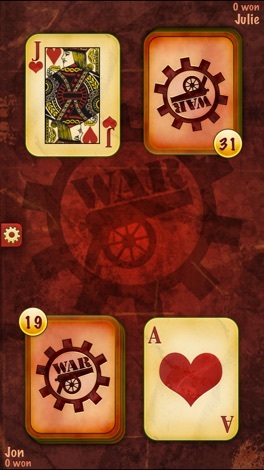 If both players reveal a card of the same rank, a war ensues, giving each player a chance to win many of their opponent's cards. 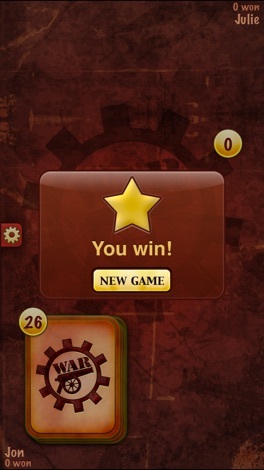 Whether you want to kill some time by playing against your phone, or take on a friend - War Premium is the app for you!